– A talk with Les Thatcher about his start in the business with Tony Santos’ promotion in Boston. Les discusses living and working with Pat Patterson, Ron Dupree and Terry Garvin, why the Santos promotion had no TV, the workers back then versus the performers today, Jack Pfefer’s relationship with Santos and much more! – A conversation with wrestling historian Tom Burke about his friend, and one of wrestling’s most misunderstood characters, Chris Colt. 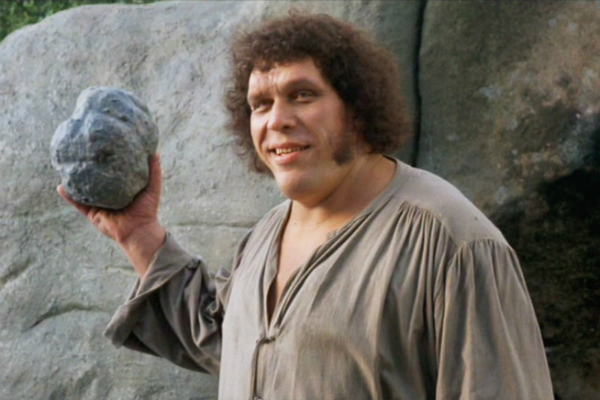 Colt has been a popular subject on the Superpodcast and Tom sheds light on what made him tick. – An interview with filmmaker Jeff Krulik, of Heavy Metal Parking Lot fame, about his 1994 film Mr. Blassie Goes To Washington. – Amy Lee joins the show for the Dennis Of The Week, our weekly tribute to promoter Dennis Coralluzzo. Amongst other stories, Amy talks about her legendary parking lot fight with Dennis. – The Top Ten, as usual, goes in a million directions, covering Titanes En El Ring, Slammers and Verne Langdon, Tony Rocco and Widman Jack Armstrong, the fake Apache Bull Ramos, Japanese wrestler misspellings & wrestler nicknames in the Observer, Wild Bull Currry, The Antichrist, Captain Lou Albano’s promo for Mike Lano’s tv show, Longmont Potion Castle and much more! – Part three of our conversation with Terry Garvin Simms. In this final installment of our talk, Terry talks about his days working for the Global Wrestling Federation, discussing everything from Eddie Gilbert’s booking to potential investors. 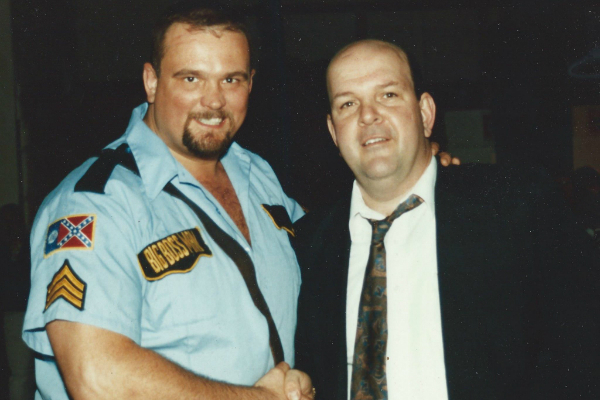 Terry explains why he dropped the Garvin name, why Scott Putski had heat in the locker room, what it was like to work with Gypsy Joe and work for FMW and much more! Plus, Terry gives his thoughts on a frequent question here on the Superpodcast: Who are the Slip House Boys? – After last week’s reading of Confessions Of A Ring Rat, former Smoky Mountain champion Bobby Blaze checks in during the Top Ten to confirm or deny his alleged sexual relations with Sue The Shooter, as mentioned in the article. – Listeners of the Superpodcast play show trivia to win copies of the new Pat Patterson (with Bertrand Hebert) autobiography Accepted. – The Top Ten, as usual, touches on numerous topics, including Herb Abrams, ECW, midget wrestling, Impressionist Jim Ross and more! 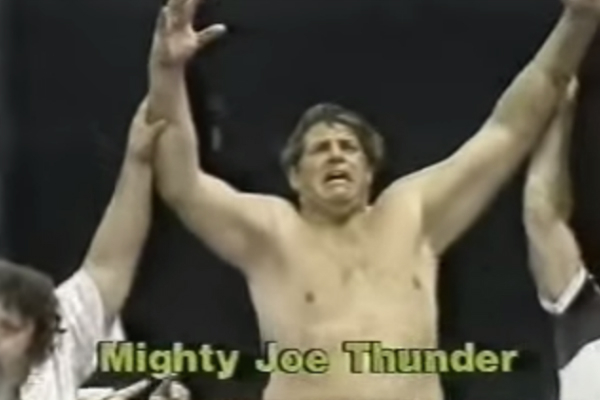 Plus, we talk Mighty Joe Thunder, Vince McMahon on Victory Corner, Brian Hildebrand, The Hangman and tons more! – An extensive talk with Peter Birkholz, longtime commentator and promoter for Houston wrestling. This fascinating discussion covers the biggest names to wrestle in Houston, from Whiskers Savage to Wild Bull Curry, from Gino Hernandez to the Junkyard Dog. Plus, Peter shares the inside stories of Houston’s dealings with the NWA, the Dallas booking office, Southwest Championship Wrestling, Mid South Wrestling and Vince McMahon. Peter also talks about his uncle, famed wrestling promoter Paul Boesch. 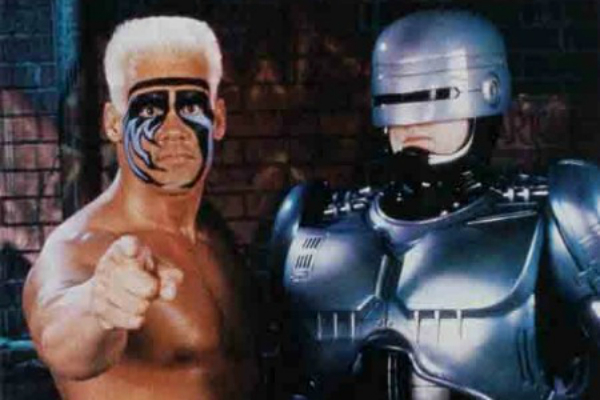 – A wild Top Ten, hitting on everything from Capital Combat ’90: The Return Of Robocop to The Hangman’s IMDB page. Other topics include Gordon Scozzari’s 1991 AWF taping, the time Ole Anderson wanted Jim to run around the ring with a pumpkin on his head, Dr. Mike Lano’s writing, if Lex Luger should have won the world title at Wrestle War ’90 and much more! – TGBL & Jim do a new reading of the story that launched Sue The Shooter, Confessions Of A Ring Rat! – A discussion about some of the remaining Holy Grails of wrestling footage. – Part two of our talk with Terry Garvin Simms. 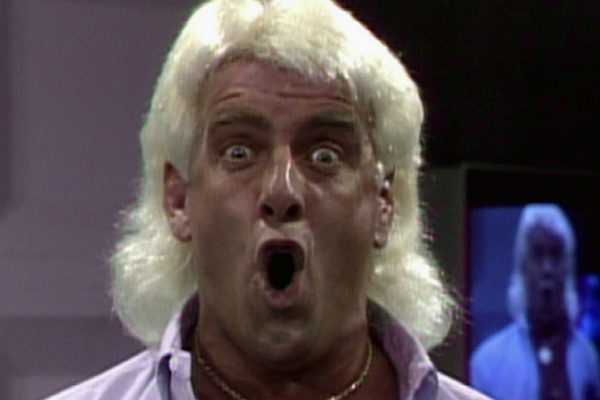 This time we discuss Terry’s time working in Dallas for World Class & the USWA. Terry shares his thoughts on Eric Embry as a booker, Chris Adams inside and outside the ring and Gary Hart & his razor blade. Stories about the hijinks of Buddy Roberts are certain to entertain. We also hear about Terry’s friendship with the Von Erichs, including the last conversation he had with Kerry the day before he took his own life. – TGBL & Tom discuss many topics, in the midst of the Top Ten and during the rest of the show, including Jim Ross’ bad impressions, Jim Neidhart’s destruction of cameras, Bobby Fulton’s least favorite word, Derek Domino’s teenage run-in during a live Piper’s Pit, Buddy Landel, Joel Goodheart, Terry Funk, as well as Tom’s recent unpleasant confrontation with Ric Flair. Plus, audio of Dennis Coralluzzo & Dr. Mike Lano for the Dennis Of The Week, Tom’s many great voices, the graduates of Robinsdale High School, some clever fantasy booking and much more! Call Somebody! Support The One Man Gang!